We might be known for our Windows articles, but in 2010 we sure posted a lot of really in-depth articles covering Linux. Here’s the 20 best articles that we covered this year, covering everything from how to tweak your setup to how to use Linux to fix Windows. Want even more? You should make sure to check out the top 20 How-To Geek Explains topics of 2010, the 50 Windows Registry hacks that make Windows better, or the best 50 Windows articles for 2010. There are lots of utilities to recover deleted files, but what if you can’t boot up your computer, or the whole drive has been formatted? We’ll show you some tools that will dig deep and recover the most elusive deleted files, or even whole hard drive partitions. We love Live CDs, but it’s a hassle installing the same packages every time you need to do a virus scan or recover accidentally deleted data. 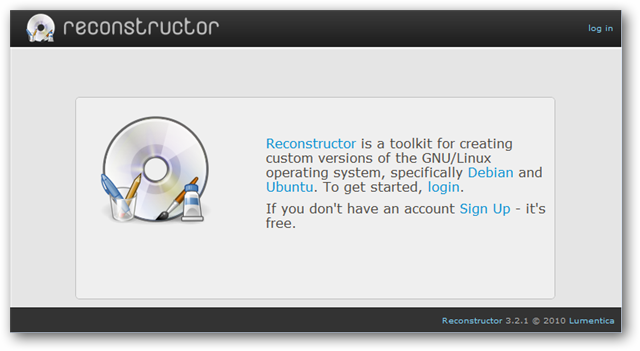 We’ll show you how to roll your own Ubuntu Live CD, with all the packages you want, and even more nice customizations. HTG Explains: Which Linux File System Should You Choose? File systems are one of the layers beneath your operating system that you don’t think about—unless you’re faced with the plethora of options in Linux. Here’s how to make an educated decision on which file system to use. Knowing how to check the condition of your hard disk is useful to determine when to replace your hard disk. In today’s article, we will show you some Linux disk utilities to diagnose the health of your hard disk. 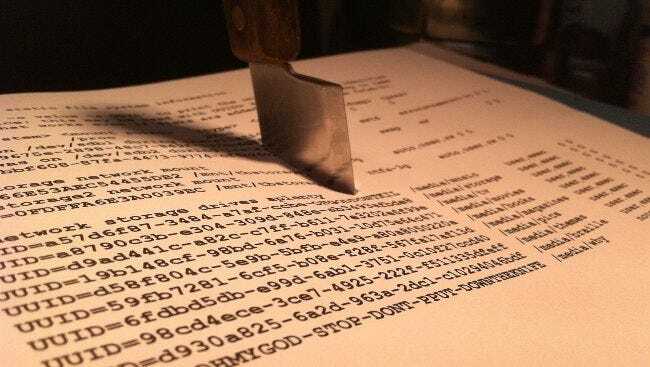 HTG Explains: What is the Linux fstab and How Does It Work? If you’re running Linux, then it’s likely that you’ve needed to change some options for your file systems. Getting acquainted with fstab can make the whole process a lot easier, and it’s much easier than you think. If you have a home server powered by Linux, you’ll probably be upgrading your OS every so often. Here are some important files to back up and some alternative utilities that will help you get up and running quickly. Afraid of the dreaded “p” word? You’re not alone. Partitions can get complicated, so here’s an explanation of what they are, how they’re used, and a simple template to use for your own Linux installation. What is the Linux Kernel and What Does It Do? With over 13 million lines of code, the Linux kernel is one of the largest open source projects in the world, but what is a kernel and what is it used for? What Does “Free as in Speech” or “Free as in Beer” Really Mean? In the open source community you’ll often hear the phrase “free as in speech” or “free as in beer” in reference to software products, but what do these phrases actually mean? Let’s walk you through the meaning behind each. One of the great things about Linux is that you can do the same thing hundreds of different ways—even something as simple as generating a random password can be accomplished with dozens of different commands. Here’s 10 ways you can do it. 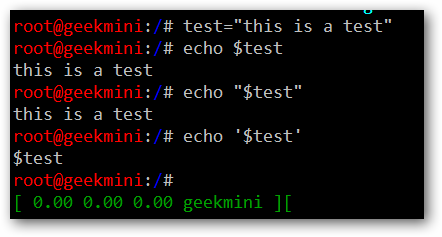 What’s the Difference Between Single and Double Quotes in the Bash Shell? Enclosing text in quotation marks is fairly standard practice on the command line, especially when dealing with files that have spaces in the names, but how do you know whether to use single or double quotes? Let’s take a look at the difference, and when you should use one vs the other. It doesn’t matter if you are using Windows, OS X, or Linux, everyone should do regular backups of their information. In Linux one of the easiest ways to do automated backups is with Simple Backup (SBackup). Here is how you can set up SBackup to make sure you have a backup of all your important files. If you’re anything like me, you probably have Ubuntu running on your older computers, and they often have smaller hard drives so you’re looking to save every bit of drive space you can. Here’s an easy trick to free up a surprising amount of drive space. If you are looking to upgrade the memory in your Linux PC, you are probably wondering how many open slots you have, what type of memory is already installed, and what you need to buy for an upgrade… without having to open your computer. In Windows you can easily kill any task by pressing Ctrl+Alt+Del and bringing up the task manager. Linux running the GNOME desktop environment (i.e. Debian, Ubuntu, Linux Mint, etc.) has a similar tool that can be enabled to run exactly the same way. Ubuntu adopted the new version of the Grub boot manager in version 9.10, getting rid of the old problematic menu.lst. Today we look at how to change the boot menu options in Grub2. Don’t feel like reinstalling an antivirus program every time you boot up your Ubuntu flash drive? We’ll show you how to create a bootable Ubuntu flash drive that will remember your settings, installed programs, and more! If you can’t log in even after trying your twelve passwords, or you’ve inherited a computer complete with password-protected profiles, worry not – you don’t have to do a fresh install of Windows. 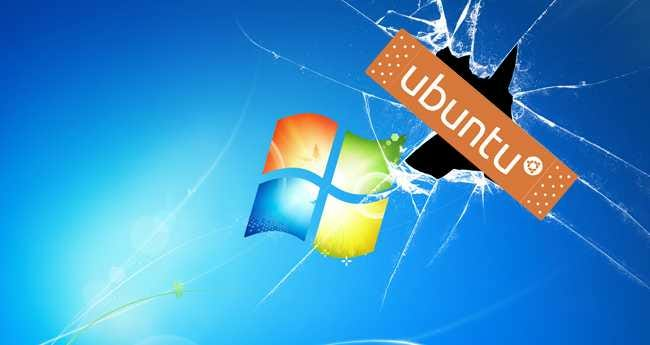 We’ll show you how to change or reset your Windows password from a Ubuntu Live CD.